When one thinks of the bustling world of law, their mind wanders to big cities—New York, Miami, Los Angeles—cities with populations large and diverse that demand large and diverse legal options. One usually does not think of Ohio as a legal playground. 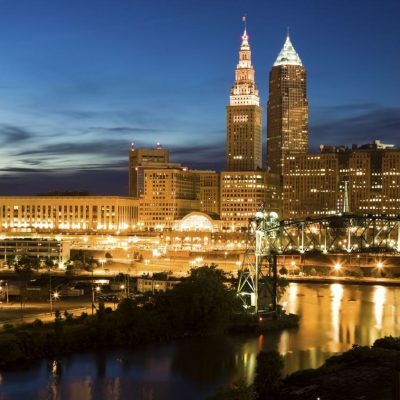 This isn’t to say that Ohio doesn’t have its share of large cities—Columbus’ population of nearly 800,000 residents and Cleveland’s population of nearly 400,000 is nothing to sneeze at—yet people rarely think of Buckeye State as being in the forefront of the legal world. But perhaps they should. U.S. News’ 2019 edition of the Top Law Schools in the U.S. included a number of Ohio graduate schools in their lineup—including Ohio State University, Case Western Reserve University, and University of Cincinnati. It’s clear that Ohio is producing some of the best in the legal industry. The state has a high percentage of highly rated law firms, as well as court reporting firms, proving that Ohio’s legal industry is top-tier all around. So, what are these legal professionals doing right? There are two law firms that stick out as the best of the best: Koffel Law and Joslyn Law Firm. One quick search will prove their superiority. The Koffel Law Firm has a four-point-nine star rating with 140 Google reviews. Joslyn Law Firm boasts the same start rating, but with 279 Google reviews. How can so many of their clients be so satisfied? Perhaps it starts with an impressive leader. President of Koffel Law, Brad Koffel, has been selected as one of the Best Lawyers in America consistently since 2008. He has been rated as one of the Top 10 Criminal Defense Lawyers in Ohio. He has highly positive ratings from Super Lawyers. His firm selects cases they know will be successful, granting them 98% positive ratings and a recognition as one of the Best Law Firms by U.S. News. Perhaps it’s a sympathy for their clients. President of Joslyn Law, Brian Joslyn, has a very personal relationship with criminal defense, as he was once a victim of police brutality. After being a firsthand witness to the unfortunate reality many people face when falsely accused of a crime, he dedicated his professional life to protecting those people. It could be that passion for the people that results in satisfied clients every time. Court reporting is an entirely different beast from law firms. 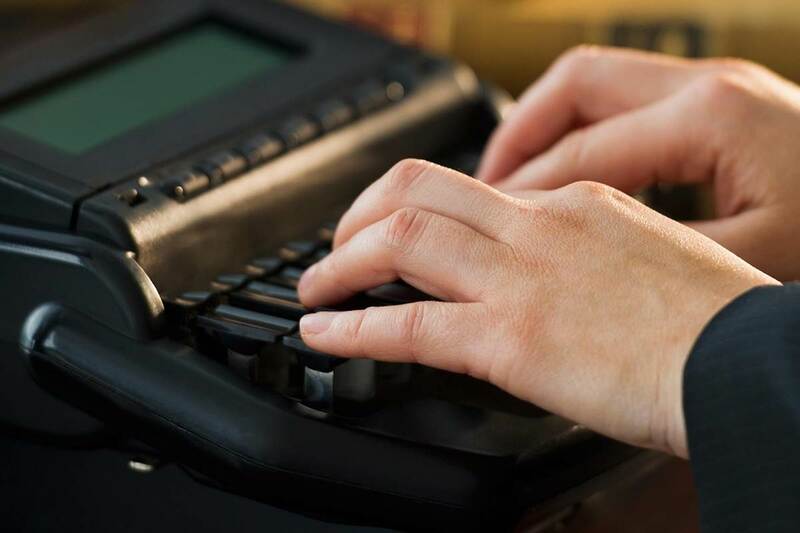 Court reporters and litigation professionals work to ensure attorneys and paralegals have everything they need to form the most cohesive, substantiated case possible. If attorneys are the actors on a stage, court reporters are the stage technicians—the show cannot go on without them. For a case to run as smoothly as possible, attorneys and paralegals need a court reporter that is efficient and accurate. Cady Reporting and Anderson Reporting are among the top court reporting firms not only in Ohio, but the nation. How do they do it? Cady Reporting is a family owned and operated court reporting firm. For nearly 50 years, these Cleveland court reporters have served the area with the utmost diligence, bringing clients back time and time again. Their president, Chuck Cady, has won a number of awards for his speed in reporting, setting a high standard of accuracy for all the staff, but there is another thing the firm prides itself on—customer service. Cady Reporting doesn’t treat its clients like another number, they treat them like families. They are individuals with unique needs that need to be addressed and taken care of in personalized matters. That respect and level of concern keeps clients satisfied. The staff at Anderson Reporting certainly don’t put their noses up at clients either. For decades now, clients have been thrilled with Anderson Reporting’s professionalism and hard-working spirit. Their customer service is raved about across the country, but it’s these Columbus court reporters’ love of the craft that truly sets them apart. Firm president, Gayle Anderson saw how many competitors provided their clients with an embarrassing quality of service. Anderson wanted to see a change for the attorneys of Ohio, and the attorneys of the United states. To set a new standard for court reporting firms, Anderson became one of the founding members of the National Network Reporting Company (NNRC), a worldwide court reporting agency that strictly vets quality of reporting and customer service and only allows the best of the best to become members. No matter where attorneys and paralegals book a litigation service, with the NNRC, they can be confident that firm will meet each and every one of their needs. It’s professionalism and dedication to the people that truly set court reporting and law firms apart from one another. 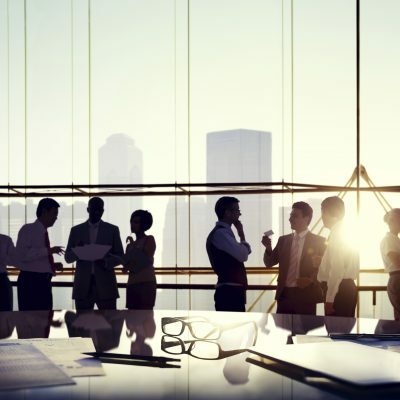 With only one of these factors, firms will flounder. With both, they thrive, as proven by these legal giants of Ohio.